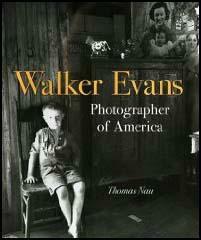 Walker Evans, the son of a successful advertising executive, was born in St. Louis, Missouri, on 3rd November, 1903. Educated at Phillips Academy and Williams College, he moved to Paris where he hoped to establish himself as a writer. Evans returned to the United States and now attempted to making a living as a photographer. During the early years of his career he supported himself with a variety of different job. 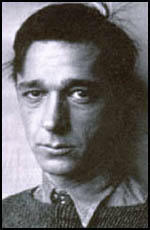 Some of Evans' photographs were accepted by the avant garde magazine, Hound and Horn. This led to him being commissioned to provide the pictures for Hart Crane's The Bridge (1930) and Carleton Beals' The Crime of Cuba (1932). In 1935 Evans was invited by Roy Stryker to join the the federally sponsored Farm Security Administration. This small group of photographers, including Esther Bubley, Marjory Collins, Mary Post Wolcott, Arthur Rothstein, Russell Lee, Gordon Parks, Charlotte Brooks, Jack Delano, John Vachon, Carl Mydans, Dorothea Lange and Ben Shahn, were employed to publicize the conditions of the rural poor in America. 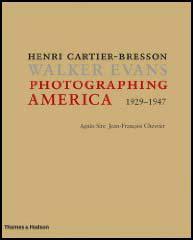 During this period Evans established himself as one of America's leading documentary photographers. Evans was honored with an exhibition in New York City's Museum of Modern Art. He also worked with the journalist, James Agee, on a study of Alabama sharecroppers. Although commissed by a magazine, the material was rejected and published in the book, Let Us Now Praise Famous Men (1941). After the Second World War Walker was associate editor of Fortune Magazine (1945-65) and taught at Yale University (1965-75). Walker Evans died in New Haven, Connecticut, on 10th April, 1975.